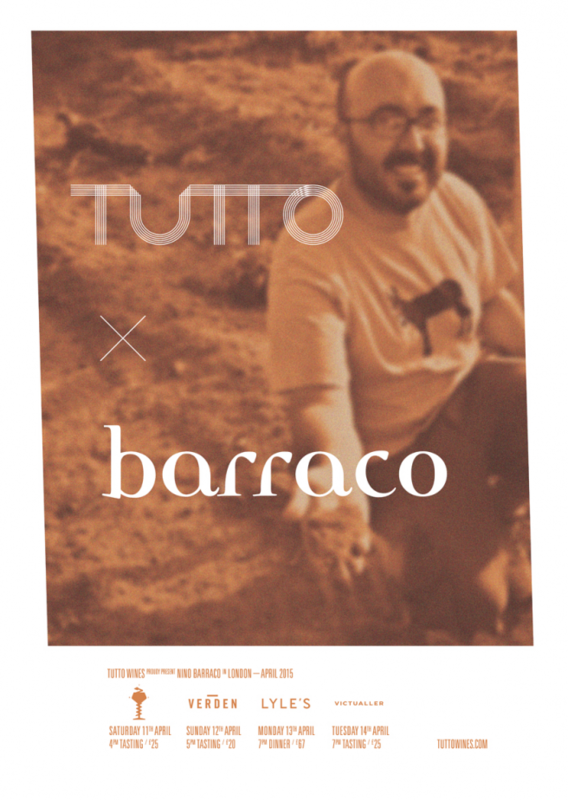 In just under a fortnight one of our favourite winemakers, Nino Barraco will be joining us here in London for a series of very special events. From remote vineyards along Sicily’s barren western coast, Nino crafts some of the most vibrant, thrilling wines we have found in Italy. His riffs on local grapes like Zibibbo, Catarratto, Grillo & Nero d’Avola are aromatically intense and possess a wonderful saline note that speaks of a proximity to the sea. Nino’s knowledge of Marsala, it’s grapes and vineyards is second to none, we hope you can join us at one of the following events to meet the man and his wines. On Saturday 11th April we will join our friends at The Remedy in Fitzrovia for a fascinating tasting comparing vintages of Nino’s wines young and old. Guests will taste the following pairs of wines, with Nino on hand to explain the effect that time has on each of the grapes. The following day we head to Verden in Clapton where Nino will present a vertical tasting of six consecutive vintages of his Catarratto. We will be pouring the following wines, while Nino will be giving an account of each of the vintages in your glass. On Monday we will be at Lyle’s in Shoreditch to host a dinner pairing Nino’s vibrant, savoury wines with chef James Lowe’s excellent British food. Guests will be treated to a seasonal menu from James, to accompany the following wines. On Tuesday evening we are joining the good people of Wapping’s Victualler to present a tasting of Nino’s full range of current releases. Nino will run through each of the following wines, painting a picture of Marsala, it’s unique landscape and grapes.